EarthSky – (club recommended) Provides information on pretty much all aspects of amateur astronomy. Provides an excellent news letter with choices for frequency (I recommend getting the daily). 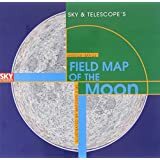 Sky Maps – (club recommended) Free downloadable and printable monthly sky chart and objects. Can be printed B&W or color. Orion Sky Chart – Free downloadable and printable monthly sky chart. Can be printed B&W or color. Star Charts – (club recommended) Free downloadable star charts in PDF format. Stellarium – (club recommended) Free downloadable planetarium real-time interactive program. Runs on PC, Linux, and Mac. Virtual Moon Atlas – (club recommended) Free downloadable Moon atlas. Please see the entry, Discover the Moon, in the book section of this page. Sky & Telescope – Site also has free resources, no subscription necessary. Astronomy – Site also has free resources, no subscription necessary. 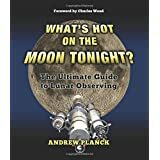 If you buy only one book about viewing the Moon, then buy this one! Lacroux and Legrand have put together an enchanting journey, going night by night as they cover sites of interest with photos and melt-in-your-mind descriptions. If Christian Legrand’s name seem familiar, it is because he is the genius, along with Patrick Chevalley, behind the Virtual Moon Atlas software that runs on Windows, Linux, and Mac. This software is used by pros and serious amateurs alike. And thanks to Legrand’s love for astronomy and making the Moon accessible to everyone, the software is free! All I can say to Christian is a very humble “thanks” for your efforts and sharing your passion. Here’s the site: Virtual Moon Atlas. This could be your next choice for a Lunar observing guide. This is a great field books, because it is the right size, it is spiral bound, and the print is large enough to read comfortably in red light. 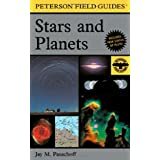 At first, you may be put off by the lack of large pictures, but keep in mind that this book aims to show you what you might see in a small telescope. Secondly, it has great descriptions of what you are going to be looking at as you go through the book. The book’s presentation is organized by night, starting with the Moon just emerging from its New Moon phase. The book has the added feature of giving the observer some lines for notes and a place to do a drawing of what is being seen. The author has added some great historical notes and extra blank log pages in the appendices. 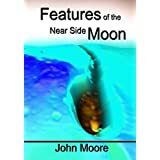 If you read my review on the following moon book, you notice my comment about it missing some narrative information. This book makes up for quite a bit of that information. The craters and maria are perhaps the most noted and visible to the naked eye. However, many more features exist that are just as noteworthy. This book covers both an official list and an unofficial list. Each feature is given the area of the Moon where it is located, a closer view illustrated by a drawing, and a matching photo. Moon latitude and longitude are given as well as diameters. Features are in order by category. Two critical comments: Since the information is best used at the telescope, a spiral binding would be much better suited. Secondly, just a few words about each individual feature would be greatly appreciated. These two omissions do not detract from the book’s overall usefulness. This is a very recent publication, 2014, and is a very worthy addition to your Lunar book collection. This Moon map is from Sky and Telescope, and the version I have linked here is the mirror image edition, since my telescope in a typical entry-level Newtonian reflector – images are upside down and reversed left to right. If you view the Moon with binoculars or a refractor with an image correction adapter, you will want the normal-oriented map. I chose this map in particular because it is large and is laminated for use in the field. Unfolded, it is 24 inches by 24 inches. It is divided into quadrants of 12 inches square, and constructed in such a way so that it can be folded with the current quadrant of interest on top. Portions of the Moon that fall on the fold gutter are duplicated for each quadrant. You won’t miss any detail at all. The back of the map contains a complete listing of all the named formations, their quadrant of the map, the map location, and approximate dimension in kilometers. I cannot image anyone interested in Moon gazing doing so without this map. 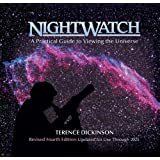 If you buy only one book on how to do night sky viewing, then this is it. This book should be every beginner’s best friend; even old timers will find a new trick or two. More or less an encyclopedic viewing guide and reference book. It contains general astronomy information, Moon charts, star charts, Messier and other lists. It is compact in size, as are most field guides. Lots of how-to stuff, general information on backyard astronomy. 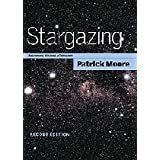 Touted as the “essential guide for beginning stargazers.” It also contains a very decent set of star charts for observing some of the more interesting sights in the night sky. 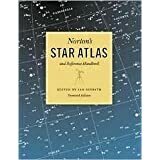 Norton’s Star Atlas has been around for decades, and is one of the easiest professional-grade star atlases to use. It is also significantly cheaper than the rest. And best of all, this book contains a lot more than just star charts. 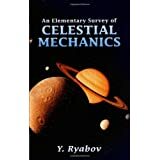 It contains great information on time and position, practical astronomy, the solar system, and a chapter covering background for stars, nebulae, and galaxies. I prefer the hardbound version, and I was lucky enough to find one discarded by a library. These books are usually in great condition and have the dust jacket laminated in a plastic cover. This book is 9 by 11 inches and will lay flat when open. This really should be one of a beginner’s first books. It gives the necessary background material (briefly), and then covers suggested sights by using charts and drawings – well suited to small telescopes. Details the visible-to-the-naked-eye objects, especially constellations according to the month and season. If you are going to learn the night sky, this is an excellent book to start with. This book is actually a companion to Daniel Fleisch’s website of the same name. However, a physical book is not necessary as he presents it in webpage form on his site. 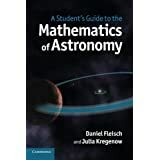 The material is completely accessible to anyone with some high school algebra, and is a great way to get your feet wet in understanding gravity, light, parallax, and more, as they apply to the heavens. Every amateur astronomer should have at least this level of understanding. If your algebra is rusty or missing completely, you are robbing yourself of the full beauty and grandeur of the Universe! Most community colleges offer a course in elementary algebra; take one. Don’t like school? Online offers a huge variety of free, work-at-your-own-pace algebra courses. The Kahn Academy has some excellent tutorials. Start here. Need a refresher in just basic math? Kahn has that too, and it’s all free. Trigonometry is especially useful for astronomy, and is a very easy math course with just an understanding of basic algebra. Mathematics is the language of the Universe – get some! 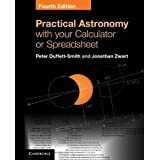 I particularly enjoy this book’s focus on using a spreadsheet for solving a fairly wide variety of calculations of interest to the amateur astronomer. It should be noted that a great many professional scientists and engineers are using spreadsheets to do their work, both theoretical and applied. The book uses Microsoft’s Excel, but also mentions that OpenOffice’s Calc is completely compatible for the work contained in the book. I use both Excel on Windows and Calc on Linux. You may be asking: What about Libre Office? The short answer is stick with OpenOffice. The longer answer is that while Libre Office is more commonly shipped with most of the common Linux distos, I find it to be too buggy for serious applications. Further, even the most casual search on the split up of the original development team will show that the inclusion of Libre Office is politically motivated. I find that to be a very poor reason for not including OpenOffice. The Linux purists do not like the fact that OpenOffice is owned by Apache Software Foundation. Lastly and perhaps most importantly, macro writing for OpenOffic Calc is well documented for when you need to add additional mathematical functions to your spreadsheet. 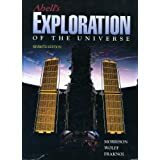 Many good textbooks covering astronomy can be found. This one lends itself well to the self-learner. 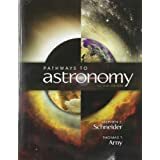 Another really good textbook covering the science of astronomy. The material is very accessible to the amateur self-learner. This is the 1991 edition. The latest edition is 2006. I particularly like the treatment on the spherical triangle. It turns out that Spherical Trigonometry is alive and well. 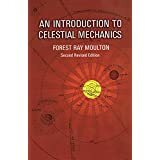 This is a small book and is more of a narrative of Celestial Mechanics than an academic and mathematical treatment of the physics involved. As such, this book is very accessible to anyone. The little bit of math in the book is understandable with some high school algebra. This is an excellent starting point for understanding the physics of the Universe. Celestial Mechanics is the physics of what is going on in the Universe, at least at the mechanics level. This is a reprint of an older volume. Topics covered: Fundamental Principles and Definitions; Rectilinear Motion; Central Forces; The Potential and Attractions of Bodies; The Problem of Two Bodies; The Determination of Orbits; and a few more. You will need at least first-year calculus and maybe a bit more to handle the math. 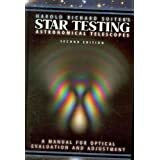 Star Testing Astronomical Telescopes – Harold Richard Suiter, 2nd ed. It turns out that seeing how well your telescope is performing is not difficult to test. This is the book to show you how to test your telescope. 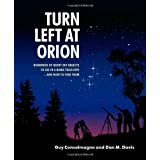 If you have any kind of the telescope, especially a reflector, you need this book! All the books on this page are owned and used by the webmaster for this site, and the reviews and comments are base solely on personal experience with them. The links for the books go to Amazon’s listing for the book. They link there because Amazon often offers a look inside the book. This site is not particularly promoting Amazon, nor does Rim Astronomy receive anything from Amazon (or anyone else) if you click on the links. All links are provided for your convenience only. As always, you should compare prices, contents, and reviews for making your own choices. Please feel free to share your own resources on the discussion page. Meade Telescopes – Maker of fine telescopes. Orion Telescopes – Maker of fine telescopes. Celestron Telescopes – Maker of fine telescopes.